Q: What is microdermabrasion used for? How does it work? Microdermabrasion is best used by a patient who has a thick, outer layer skin that is dull looking. 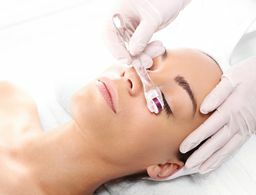 It uses crystals to mechanically abrade, or remove, the very top layers of epidermis. Board Certified Dermatologists that perform Microdermabrasion in your area.